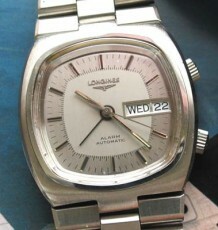 with a vintage style dial configuration. 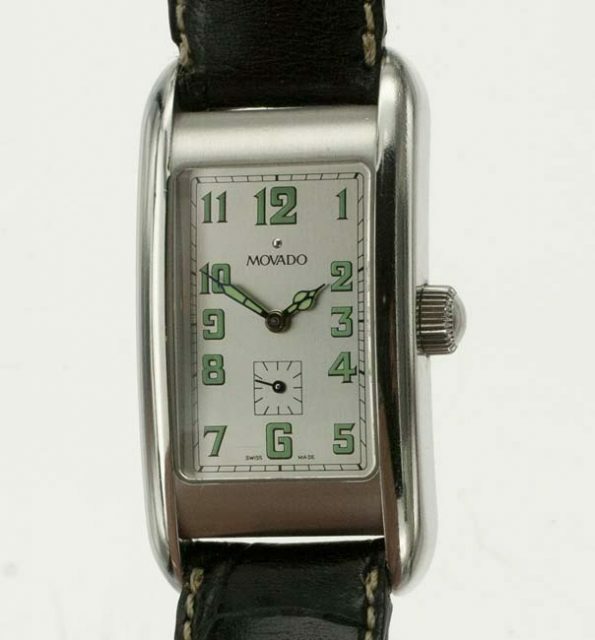 The silvered white dial green Arabic numerals that pay homage to the early Radium dials produced for watches made in the early part of the 20th century. The black steel cathedral shaped hands are also filled with the green luminous compound. 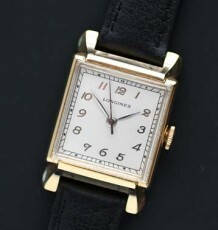 As first glance this watch could date to the 1930’s. 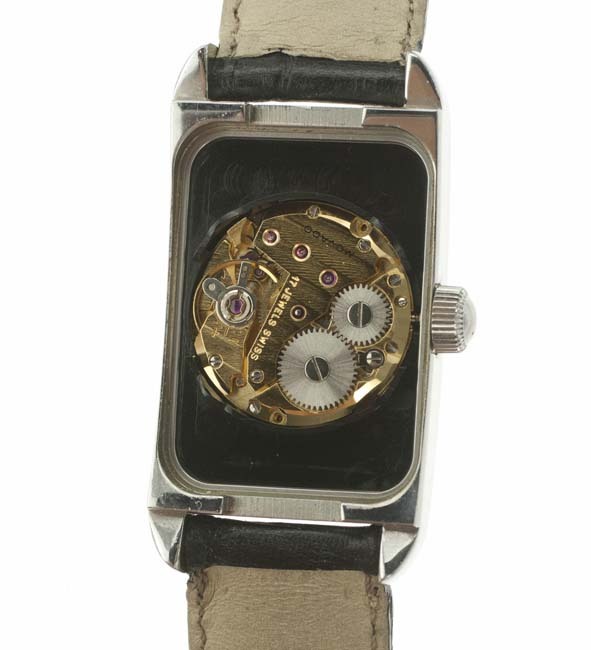 The watch is fitted with a modern Movado signed, 17 jewel movement, made by the legendary ebauche movement maker, ETA. 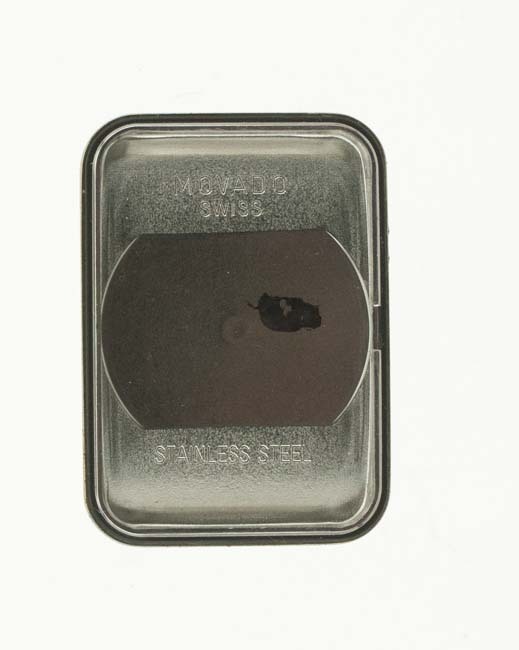 Overall, the case measures approximately 44.5 mm long by 25mm wide. 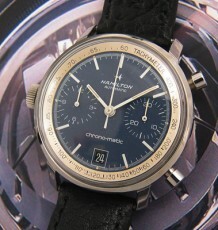 Fitted to the watch is what appears to be a sapphire curved crystal. 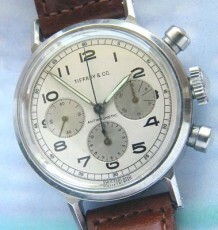 This is a quality modern timepiece that has a great retro design. 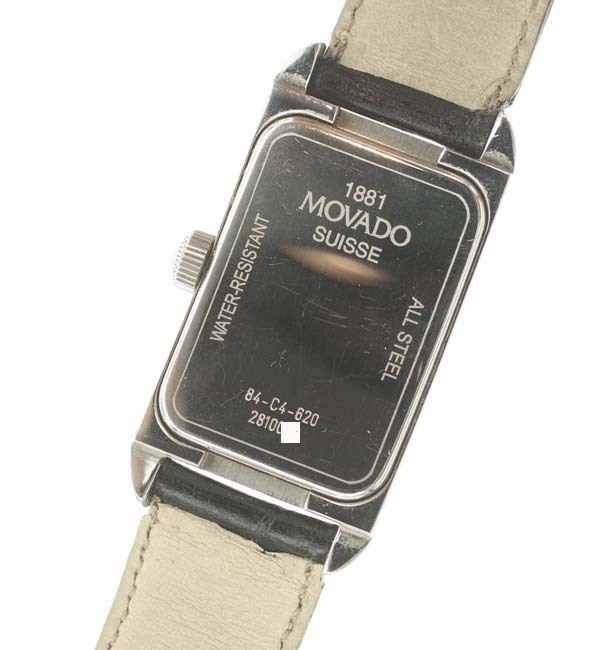 The watch is supplied on a dark leather strap with signed Movado buckle. This watch appears to have also been sold with a beads of rice link bracelet, however it seems to detract from the vintage appearance of the timepiece.